Audiences will have their final chance to hear CBSO music director Andris Nelsons at Symphony Hall before he leaves in June. Nelsons joined the CBSO seven years ago in 2008 and will leave this summer to focus on his role as music director with the Boston Symphony Orchestra, which began last year. His replacement at the CBSO has yet to be announced. His final concerts will include one with one of the world’s finest living pianists, a performance with one of his school friends as soloist, and the realisation of a life-long ambition for Andris. On March 18 and 19, Nelsons will conduct possibly the most romantic symphony ever written – Rachmaninov’s Second – alongside Dvořák’s Piano Concerto with world-renowned pianist Stephen Hough. On May 6 and 7, a programme of Mozart and Haydn – themselves great friends – with added Prokofiev sees Nelsons conducting his own school-friend, violinist Baiba Skride, as the soloist for Mozart’s violin Concerto No.4 and Prokofiev’s No.2. 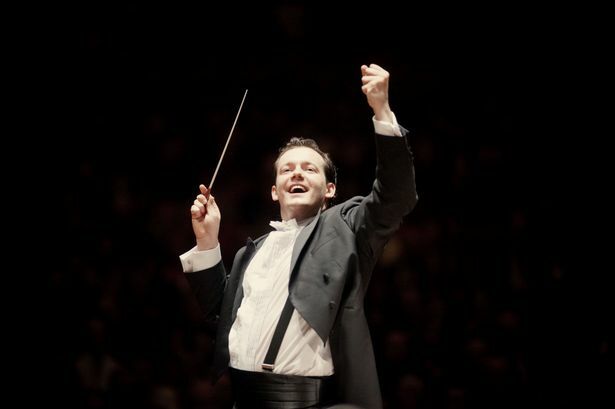 Hailed worldwide as one of today’s finest Wagner conductors, Andris Nelsons will accomplish a life-long goal when he conducts the composer’s final opera, Parsifal, at Symphony Hall, Birmingham on May 17. The combined forces of the CBSO and CBSO Chorus will unite under Nelsons’ baton alongside an array of vocal talent, including Tenor Burkhard Fritz and Mezzo-soprano Mihoko Fujimura, to deliver this epic story of truth, suffering and redemption. Audiences will have their final opportunity to hear the acclaimed Nelsons/CBSO team at home in Symphony Hall at two farewell concerts on June 17 and 18. Andris Nelson conducting the City of Birmingham Symphony Orchestra during rehearsal at the CBSO centre the city centre. On what are sure to be emotional evenings, Andris Nelsons has chosen to say farewell to Birmingham with Mahler’s Symphony no.3 – a huge rapturous hymn to nature. A beautiful new choral work by Andris’ fellow Latvian Ēriks Ešenvalds – jointly commissioned, and supported by the Feeney Trust, with Andris’ new orchestra in Boston – will receive its UK premiere as audiences, orchestra, choruses and conductor unite to celebrate seven inspirational years. CBSO chief executive Stephen Maddock said: “The CBSO has a great history of attracting and nurturing outstanding talent and our music director history exemplifies that. From Sir Simon Rattle to Sakari Oramo and, most recently, Andris Nelsons, our world-class orchestra has consistently created magical partnerships with these conducting luminaries.